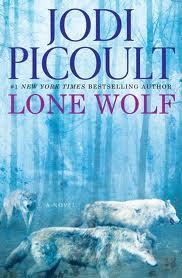 Her latest novel, Lone Wolf debuted at #1 on the New York Times Best Sellers List. Sign up for her newsletter, for a chance to win a signed edition of Lone Wolf. Jodi Picoult is the bestselling author of 19 novels: Songs of the Humpback Whale (1992), Harvesting the Heart (1994), Picture Perfect (1995),Mercy (1996), The Pact (1998), Keeping Faith (1999), Plain Truth (2000), Salem Falls (2001), Perfect Match (2002), Second Glance (2003), My Sister's Keeper(2004), Vanishing Acts (2005), The Tenth Circle (2006) Nineteen Minutes (2007), Change of Heart (2008), Handle With Care (2009), House Rules (2010), and Sing You Home (2011) and Lone Wolf (2012). This summer, Jodi will be publishing, Between the Lines, a YA novel written with her daughter. Read a sneak preview.